Back in the days when we were growing up in the village I remember vividly that my mother sometimes would boil herbs of orange leaves, guava and mango leaves as well, for the purpose of curing malaria (fever) using the steam bath approach. Then I cannot recall her making use of orange peels for anything. 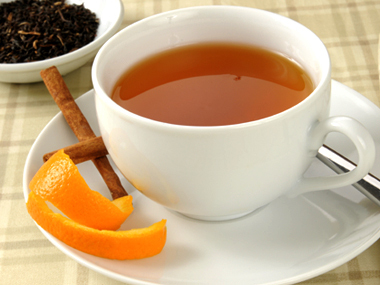 But now orange peels have also proven to be highly potent as a remedy for various ailments. Oranges are very popular fruits in Nigeria but very few people identify with the peel, which is arguably the healthiest part of the entire fruit as modern research has shown. Orange peels are rich in flavonoids – more than 60 types of them; these are any of a large class of plant pigments having a chemical structure based on, or similar to flavones. They are such like hesperidin and polymethoxyflavones (PMFs); in addition these peels contain over 170 different phytochemicals, which make for so many health advantages. Flavonoids are also antioxidant compounds and recognised for the prevention of chronic illnesses like heart ailment and cancer. Again, orange peel carries higher amounts of certain vitamins than its flesh apart from dietary fibres. For instance, 3.5 oz of orange peel affords 136 milligrams (mg) of vitamin C, even as the flesh includes about 71 mg.
Orange peel additionally contains considerable amounts of calcium, copper, magnesium, vitamin A, folate and different B vitamins. Though it has a very harsh orange and sour taste but this also proves that a meal is healthy; the sour flavour is the result of the various flavonoids that orange peels carry. Orange peels (in addition to the underlying white pulp, or pith) are fortified with hesperidin, a flavonoid that has been proven to lower high blood pressure and cholesterol in animals that have been studied. It additionally has anti-inflammatory properties studies have shown. In the elderly and people who are overweight, eating hesperidin contained in orange peel has been discovered to seriously decrease diastolic blood pressure (DBP) after about three to four weeks of usage. The polymethoxylated flavones (PMFs) in orange peels have additionally been proven to decrease cholesterol even far better than pharmaceutical drugs, without the usual side effects. 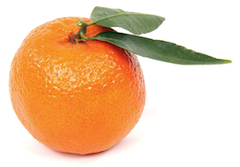 Lead author, Elzbieta Kurowska, Ph.D., vice chairman of research at KGK Synergize in Ontario, Canada, said: "Our study has shown that PMFs have the most potent cholesterol-lowering effect of any other citrus flavonoid … We believe that PMFs have the potential to rival and even beat the cholesterol-lowering effect of some prescription drugs, without the risk of side effects." The flavonoids in orange peel have the ability to inhibit the RLIP76 protein that has to do with cancer and weight problems. Scientists are still studying this ‘herb’ for this purpose, but if an orange peel extract could inhibit or reduce expression of RLIP76, it would have tremendous implications for persistent diseases they say. Sanjay Awasthi, M.D., professor in the Division of Molecular Diabetes Research at City of Hope hospital said: "When you get rid of this (RLIP76) gene in a mouse, it would appear that the mouse can't get obese, it can't get diabetes, it can't get high cholesterol and it can't get cancer." And according to a research published in the journal BioMed Research International: "Due to their broad range of pharmacological properties, citrus flavonoids have gained increased attention. Accumulative in vitro and in vivo studies indicate protective effects of polymethoxyflavones (PMFs) against the occurrence of cancer. Compounds that are loaded in orange peels and other citrus peels can also halt the release of histamines - chemical compounds that bring about allergic reactions, making them a very potent anti-allergic food. Orange peels may help to cleanse your lungs, assisting you to get rid of phlegm, and the high levels of vitamin C are useful on your immune system, helping you ward off respiratory ailments like colds and flu. In addition, citrus peel extract facilitates suppression of infections similar to the anti-inflammatory drug indomethacin. The peel may also provide quite a number additional health benefits, along with improvement in digestion and increased rate of metabolism, in keeping with the standards of Ayurveda medicine. Also, it improves oral health generally: you can eat orange peels as a herbal breath freshener or rub the inside of it against your teeth to assist with whitening, and tooth sensitivity. 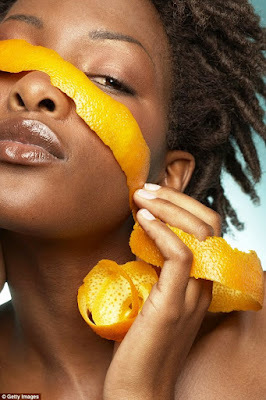 Orange peel can help to improve your skin appearance: Rub on the extract when blended with milk to lighten dark spots on your skin. Orange peels are low in energy but rich infibre, making them a beneficial food in case you're seeking to shed some weight. This you can as well do with other fruit peels and rinds to achieve the same purpose experts say. In this case it will be better if you concentrate on using organic varieties if you'll be consuming orange peels. 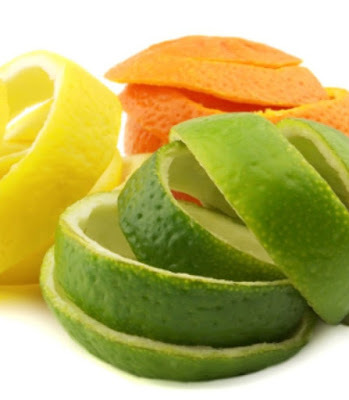 Oranges and other citrus fruits, like lemons and limes, etc, are the major foods that most typically would contain a couple of pesticide residue in their outer peel especially like in places where pesticides are freely used in packaging and preservation of fruits. And so you need to wash your fruits thoroughly, even if it is plucked from the wild (organic) before consuming it. To consume your orange peel, you may choose to grate this spice and mix it with your salads, dressings, yoghourt, smoothies, beverages, and dishes just as you like it.